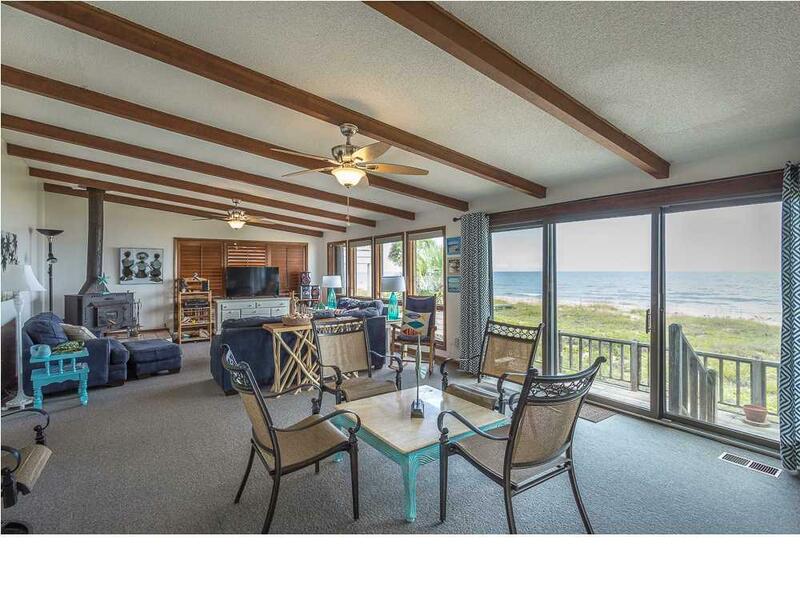 Enjoy stunning beachfront views from the wall of windows lining the great room, kitchen & dining area of this Old Florida home! 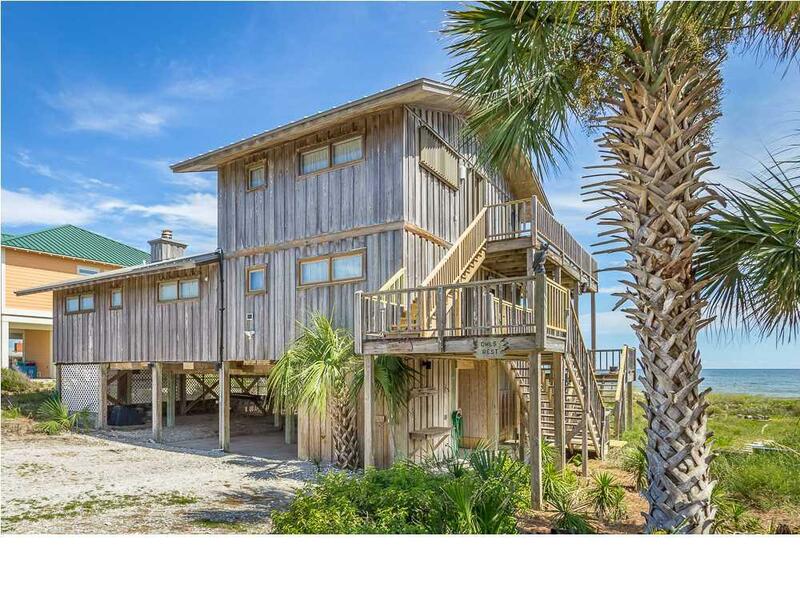 Located conveniently in the 500 block of West Gulf Beaches, this comfortable home offers plenty of room for guests (4 bedrooms and 3.5 baths). The decor is casual, relaxed, and midcentury modern. A wood-burning stove makes for cozy winter evenings. The eat-in galley kitchen is central for entertaining; with an adjacent bath. Upstairs is an expansive private master suite, laundry, a second seating area, and walk-out balcony. 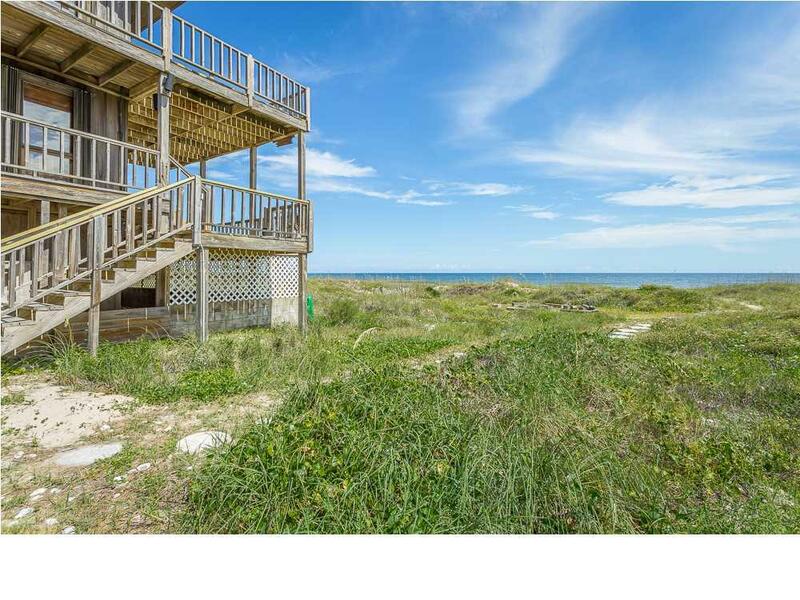 Extensive two-level decking for gulf views from either sun or shade. Outside you will find 2 grills, a fish cleaning station, 2 showers, double locking storage rooms, & welcome covered parking. 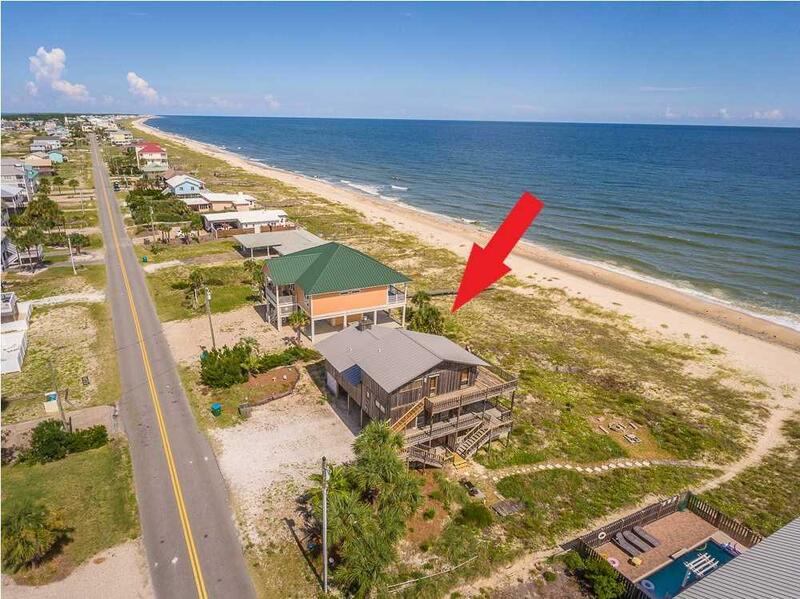 With a proven rental history, this beachfront home awaits your final personal touches!